Last year, Jenna Stevenson, one of our Exercise Therapists became an accredited Bone Fit ™ with Osteoporosis Canada. Bone Fit™ is an exercise training workshop developed by Osteoporosis Canada, designed for health and fitness professionals to learn effective and appropriate exercises for people who have, or are at risk for Osteoporosis. The Bone Fit ™ strategy is to reduce fractures, morbidity, mortality and costs from Osteoporosis through an integrated and comprehensive approach aimed at health promotion and disease management. The training provides knowledge and practical skills to prescribe exercise and adapt safe exercise programs to help reduce the risk of fractures. This program is of great benefit to the aging population. Fractures from Osteoporosis are more common than heart attack, stroke and breast cancer combined. 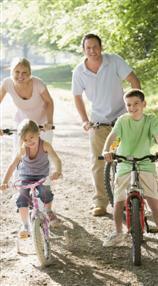 At least 1 in 3 women and 1 in 5 men will suffer from an osteoporotic fracture during their lifetime. The Bone Fit™ trainer will assess an individual’s physical activity level through balance, flexibility, strength and endurance testing. The Bone Fit™ trainer will then prescribe safe and effective exercises to reduce the risk of fractures, help maintain bone mass, modify activities of daily living and improve muscular strength to the patient’s individual needs. Please contact the office if you wish an appointment to consult Jenna for an appropriate and evidence based program to help you or somepone you know cope with osteoporosis. Five of our therapists recently traveled to Vancouver to complete a Certification Workshop in the PGAP. 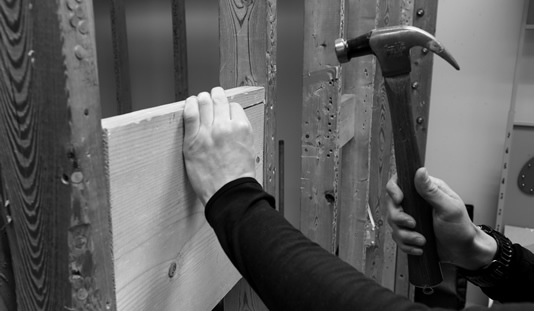 This is a program that originated in McGill University in Montreal and has been found to be effective in the management of long term disability resulting from injury or mental illness. In our case, as a physiotherapy clinic, we will be naturally focussing on the first. The PGAP process requires attendance for 1 hour per week for 10 weeks, ( with some visits being a little longer). The results of this program in other places that it has been run are exciting to say the least. We are pleased to offer this service to our patients. You can view content without logging in, but must login to 'Like Us'! 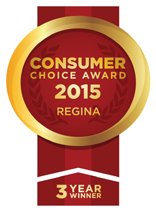 The Regina Sports & Physiotherapy Clinic is thrilled to announce that we have been awarded the 2013 Consumer Choice Award for Business Excellence for Physiotherapy clinics in the Regina area. We would like to thank any past or present patients who voted for us in this category. We really do appreciate your continued support. 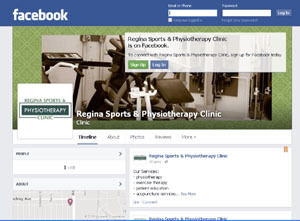 The Regina Sports & Physiotherapy Clinic has focused on providing the highest possible quality of care, this being the minimum that you should expect at whichever physiotherapy clinic you might attend. We feel that this award also reflects our ongoing commitment to customer service and customer satisfaction over and above providing high quality treatment. Our philosophy is that you, as a consumer, have a choice in where you seek your physiotherapy care and it is the role of everybody in the clinic to ensure that you are completely satisfied with every aspect of your interaction with us. We have an approachable and very dedicated Patient Representative, Hajar Ashtiani, whose primary role is to ensure that you are happy, by acting as your advocate with any aspects of your contact with the clinic which leaves you less than satisfied. You can contact her at patientrepresentative@reginaphysio.com should you have any comments or concerns that you wish to raise. In addition to Hajar, all of our staff, from your physiotherapists and exercise therapists, through to reception staff and management, are constantly striving to find ways to improve the quality of service that we are delivering to you and to improve your overall experience at the clinic. It is very satisfying to realize that this approach has been recognized by you, the consumer/patient, with an award as prestigious as the Consumer Choice Award. We would also like to thank all of our staff for all that they have done to contribute to this success, because without everyone’s commitment we would not have been able to achieve our goals. Thank you again and we look forward to a productive and equally successful 2013. In February and March of 2012, I took a 6 week break from my job as a physiotherapist at RSPC to travel down to Nicaragua as part of a group from the University of Saskatchewan. The group also included Rochelle Yelland, a physiotherapist from Buffalo Narrows and classmate, and Dr. Lori Hanson, a professor of Community Health and Epidemiology at the U of S. Our goal was to create a program where physiotherapy students and recent graduates would have the opportunity to compare the health problems and challenges faced by residents of the core neighbourhoods in Regina and Saskatoon, residents of northern Saskatchewan, and residents of rural Nicaragua. Additionally, we wanted to look at how two very different countries were dealing with these problems.